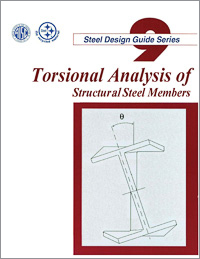 Covers the analysis and design of structural members subjected to torsional loading. An update of the former AISC publication of similar name, coverage includes fundamentals of torsional theory, determination of torsional stresses, Specification provisions, and serviceability issues. Design examples illustrate the design process as well as the use of design aids.